Standard 1: Apply skills and knowledge to perform in the arts. ART.VA.I.7.1 Understand the varying qualities of materials, techniques, media technology, and processes at an emerging level. ART.VA.I.7.2 Understand the concept of proper use of art materials and using tools safely and responsibly at an emerging level. 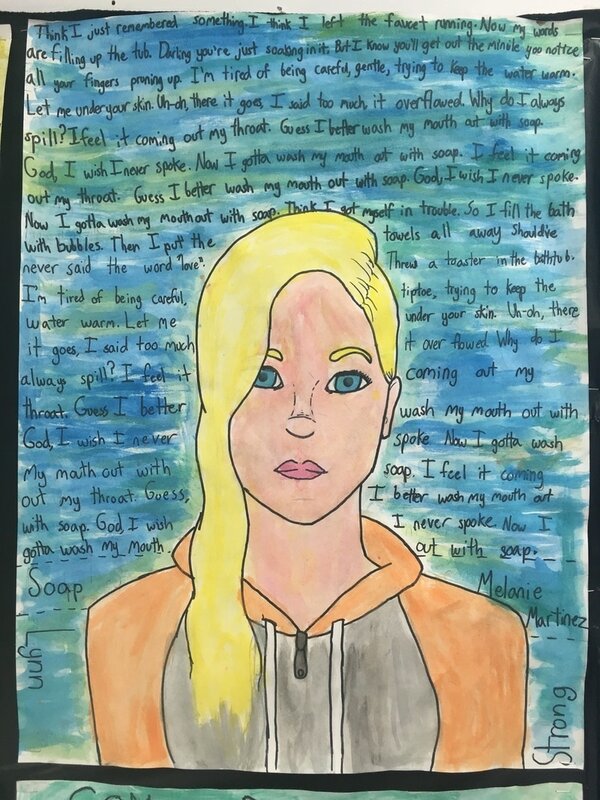 ART.VA.I.7.3 Demonstrate the use of successful visual vocabulary at an emerging level. 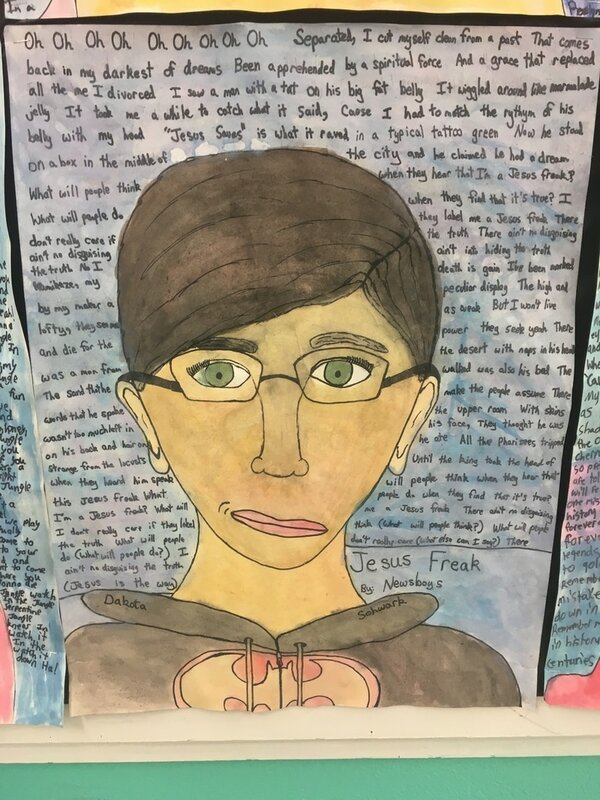 ART.VA.I.7.4 Employ reflective thinking skills by observing, analyzing, and critically evaluating works of art for the purpose of improving technical quality at an emerging level. ART.VA.I.7.5 Produce and exhibit a final product that demonstrates quality craftsmanship and technique at an emerging level. Standard 2: Apply skills and knowledge to create in the arts. ART.VA.II.7.1 Identify, design, and solve creative problems at an emerging level. ART.VA.II.7.2 Develop and apply critical thinking strategies through the art making process at an emerging level. ART.VA.II.7.3 Collaborate, communicate, and work with others to create new ideas at an emerging level. ART.VA.II.7.4 Initiate new ideas employing inventiveness and innovation at an emerging level with increasing independence. ART.VA.II.7.5 Demonstrate reflective thinking practices at an emerging level. ART.VA.II.7.6 Make knowledgeable choices about materials, techniques, media technology, organizational principles, and processes to articulate ideas and communicate intended meaning at an emerging level. ART.VA.II.HS.7 Create preliminaries, possibilities, and drafts at an emerging level. Standard 3: Analyze, describe, and evaluate works of art. ART.VA.III.7.1 Critically observe, describe, and analyze visual characteristics at an emerging level. ART.VA.III.7.2 Interpret artwork searching for embedded meaning, function, and personal connections at an emerging level. 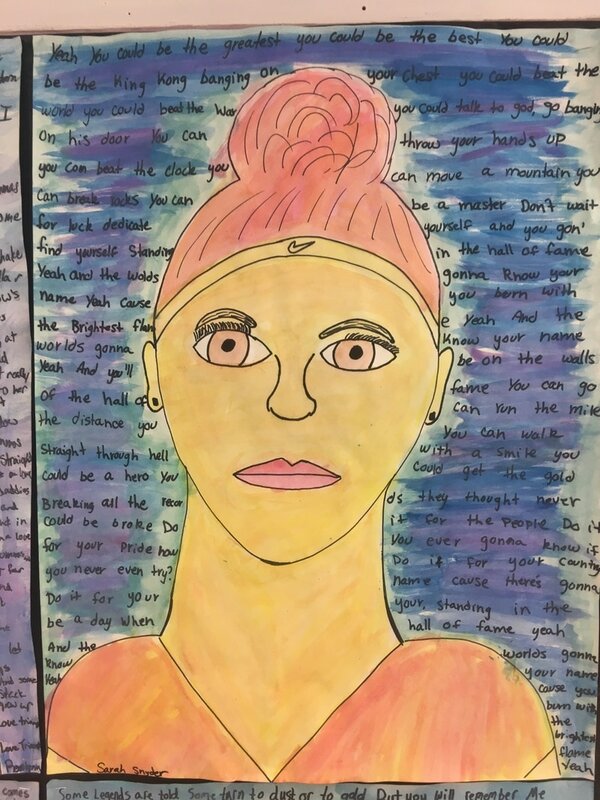 ART.VA.III.7.3 Improve descriptions of how the artist’s choice of materials, techniques, media technology, and processes influence the viewer. ART.VA.III.7.4 Use critical thinking strategies to observe, compare, and contrast artworks at an emerging level. ART.VA.III.7.5 Develop and defend informed aesthetic opinions about works of art using artistic vocabulary at an emerging level. ART.VA.III.7.6 Identify personal and community experiences within works of art at an emerging level. Standard 4: Understand, analyze, and describe the arts in their historical, social, and cultural contexts. ART.VA.IV.7.1 Recognize, describe and analyze, and evaluate how art contributes to and reflects all societies and cultures at an emerging level. ART.VA.IV.7.2 Articulate an understanding of the historical, social, and cultural contexts of artwork with an emerging level of aesthetic sophistication. ART.VA.IV.7.3 Decode and interpret artwork to discern between prejudice and tolerance, bias, and fact at an emerging level. Standard 5: Recognize, analyze, and describe connections among the arts; between the arts and other disciplines; between the arts and everyday life. ART.VA.V.7.1 Recognize and describe, personal, family, and community connections with artworks at an emerging level. ​ART.VA.V.7.2 Recognize and describe the skills used in visual arts careers at an emerging level. ART.VA.V.7.3 Analyze and compare the characteristics of work in two or more art forms that are dissimilar in subject matter, historical periods, or cultural context at an emerging level. ART.VA.V.7.4 Demonstrate an understanding of their place in the visual world and develop an appreciation of how they are part of a global society at an emerging level. ART.VA.V.7.5 Analyze and describe ways in which the principles and subject matter of other disciplines taught in school are interrelated with the visual arts at an emerging level. Grade 8 Standards can be found here on page 103.